PaperCut for professionals - Track and recover printing costs and bill back to clients. 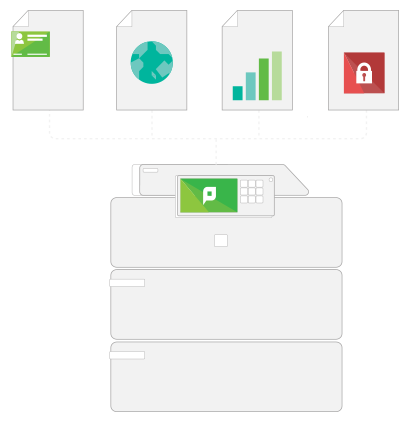 PaperCut is the easiest, most comprehensive way to manage and recover print costs. You need to accurately charge projects and clients. Clients expect you to keep their printed documents confidential. The business cares about the impact of printing on the environment and to its bottom line. Integration of projects or billing systems is important. Charge clients for printing, copying, faxing & scanning. Keep sensitive documents safe with secure release. Connect with existing business systems and data. Account for your business' paper trail. Report on all printer activity by employee, function, or location. Track and control with little staff overhead. Flexible charging rates for existing accounts. Assign printing to projects for easy client billing. Setup monthly reports for invoicing. Keep a record of activity with print archiving. Manage all multifunction device activity. Tracking of copy, fax and scan. Print to anywhere with Find-Me printing. Securely release documents only when present. Works with any fleet of MFDs, single or mixed brands. Supported through our Certified Partner network. Take PaperCut NG for a spin. PaperCut NG runs on all major 64-bit operating systems including Windows, Mac, Linux, and Novell. A tech summary of new features, enhancements and big fixes from point and version releases.